Changes at Pearson Air Museum | Audio and video stories from Southwest Washington. 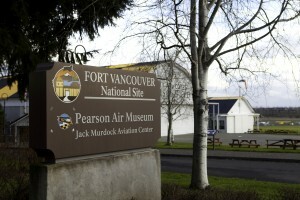 July 23rd 2014 the National Parks Service announced that 14-year NPS veteran Robert Cromwell was appointed to become the Site Manager for the Pearson Air Museum and Jack Murdock Aviation Center. Since his appointment as Site Manager, Cromwell has been getting up to speed in his new role and planning for additional exhibits for the air museum. What is new at Pearson Air Museum? Meet Dr. Bob Cromwell: National Parks Service Site Manager for Pearson Air Museum. The Pearson Air Museum is getting a face-lift.